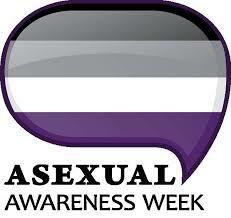 Asexual Awareness Week is observed Oct. 21st to 27. This week is to celebrate and educate people all around the world about asexual, aromantic, demisexual, and grey-asexual experiences. This week was to celebrate and help people learn more about others around them. Texan News spoke to a few of the students on the Tarleton State University campus who identify in different ways. Many students on campus have heard of the term asexual, though they don’t know much about it. When asked if students were aware of the asexual awareness week most said that they had no idea that there was a week. One student who identifies as asexual stated that they knew of the week but didn’t know when it was. “I don’t think people who are asexual are represented on campus because students are not provided much information about it,” said Miranda Baker, a senior who identifies as asexual.